Yesterday the first news regarding the Dark Brotherhood DLC for Elder Scrolls Online were published, and i’m pretty excited for the changes as well as the content that come with it. I’m nowhere near to needing new content, however, after seeing what the previous PvE-centric DLC looked like, i’m pretty sure this one’s going to be a blast, too. But it’s not only the content i’m looking forward to. 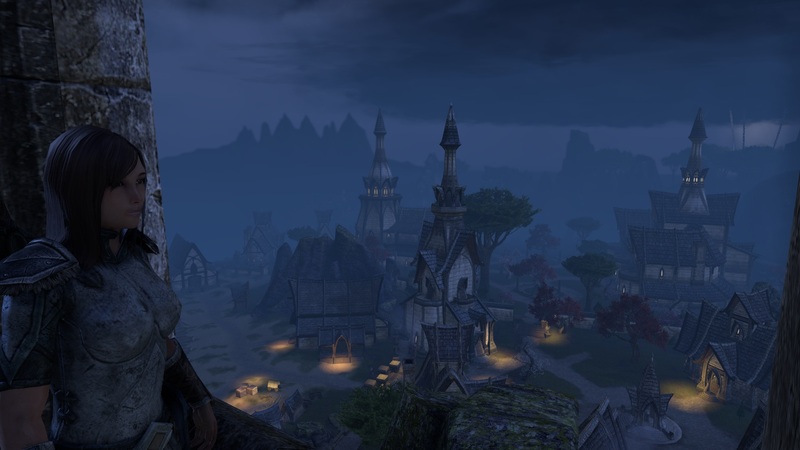 Inventory management is a big part of Elder Scrolls Online, and it is by design, at least to some extent. As the developers told us, we don’t have to hoard everything- we can and should sell our stuff, to NPCs or players alike. 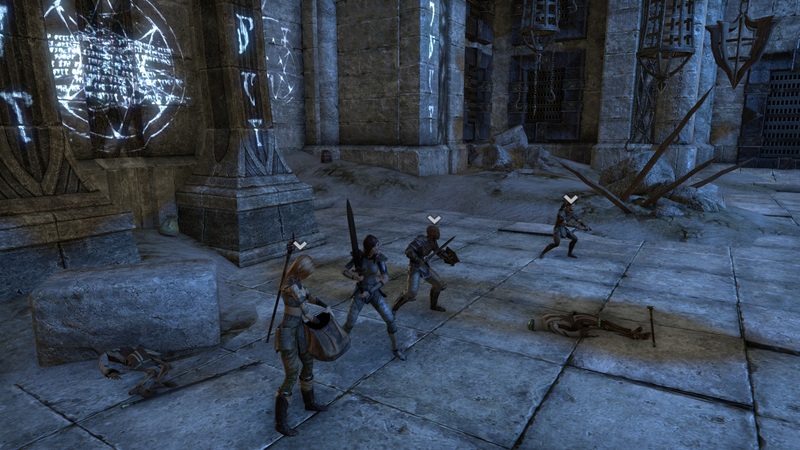 The trading system of Elder Scrolls Online is unique in a way that seems almost old-school, as there are no auction halls, global or regional, so if you want to profit from trade, you’ll have to be part of a trading guild. There are two points of view i have on this: first, i like it, because on the surface, this system fosters socializing- you need to join other players actively to be able to trade. The downside, however, is that you have to join other players actively if you want to trade with them. That’s like having mandatory dungeon runs without a group finder tool- it’s just a hassle. However, the trading system of ESO is not today’s topic- and there’ll come a solution with the DLC. Now, where did i put this? The crafting bags for subscribers. They’ll be endless and hold crafting materials- great! I can see inventory problems simply going away with that addition alone- although it is entirely possible that one simply keeps other trash in the inventory. We’ll see, but as it stands, they’re already the reason for me to be and remain subbed to Elder Scrolls Online, because the moment i heard they’ll be coming, i subscribed, as i knew i would do that whenever they’ll drop. Until then, there’s no need for me to buy DLC and i accumulate some crowns for the ingame shop to spend on fluff. As for the crafting bags- if they’re account-wide, i’m game. The downside, however, is two-fold. It will allow us to keep all the mats. If you think about it, normally, the need to prioritize would be a good thing- if there was a good trading system. Interdependancy is a good system to have in your MMO, and making players prioritize on which mats to keep and which to sell could improve the ingame player market. The other one is that maybe, guild banks are in for a rough time then. Right now, our small guild bank holds 180 different stacks of items already, and it has only been open for a week. Clearly, we aren’t talking about generosity alone- putting stuff in the guild bank is one way of easing your own inventory stress. When the crafting bags come, it might take a more deliberate will of sharing stuff with others to fill the guild bank. Thinking about it, that’s not a bad thing at all. I’m actually kind of sad. I’ve bought the game at release and played it for a month or two. I returned for a short time when it went buy-to-play. I haven’t played much and didn’t fall in love with the game until i discovered Laeloria. 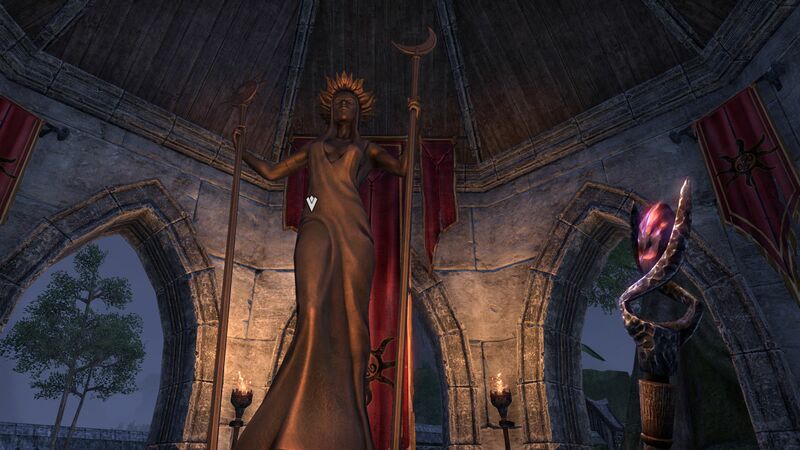 But that one took me in- of course this isn’t the only reason for me liking the game so much, but it is the reason for why i feel a strange “connection” with the Daedra Azura and might make her symbol part of our guild’s heraldry. However, my main character is level 34 right now and i don’t expect her to reach her 50s before Dark Brotherhood hits, so i’ll probably never see Veteran Ranks in action. It will be interesting to see how progression works, then, and how it’ll be different. As far as i know, champion points are the new veteran ranks, so it might just be that there’ll not be much of a difference- although i believe the CPs to be better suited as they come quicker. I don’t need them- i’ve deleted some of my characters and stand at 3 characters now, possibly 5 in the close future. But Elder Scrolls Online has so many different ways to build your character- at the most basic view, you can create all classes with a magicka or stamina focus. Doing that would put you to occupy all currently available character slots. You could also play every class in every role- then, you’d need 12 slots. There are lots of ways to build your characters and, in my opinion, despite being a linear affair (though with all the DLC it isn’t so bad anymore), there’s lots of replay value in the game. So i really like the addition of character slots to the crown store. Oh yes, there’s a DLC involved, too. After seeing how great being a thief works in the game and how much fun it is, this might be the first time i’m excited about being able to sneak around and eliminate targets in the game. While i haven’t seen much of the Thieves Guild yet, i can already see that playing the DLC is a change of pace and very interesting gameplay. Also, Isarii likes it- and when it comes to MMO design, i have a high regard of his opinion since he wrote that great post about shooting ourselves in the foot by joining multigaming guilds. While forming an opinion on his alone wouldn’t make sense, i think reading about his enjoyment adds in nicely with my own impressions. So here i am, looking forward to sneaky content. Who would have thought? But by now, nothing’s surprising me anymore- i wouldn’t have thought to find MMO homes in Elder Scrolls Online (2 years old) and EVE online (ancient), and yet, here i am. This might sound strange regarding the paragraph above, but i actually look forward to when we can file both Thieves Guild and The Dark Brotherhood into the “released” folder, because i am highly curious about what’s to come. I do hope for non-combat content and/or improvements to trade (no global auction house, though) or maybe even a new class, i don’t know and i have no idea. But i’m sure i’ll play it.